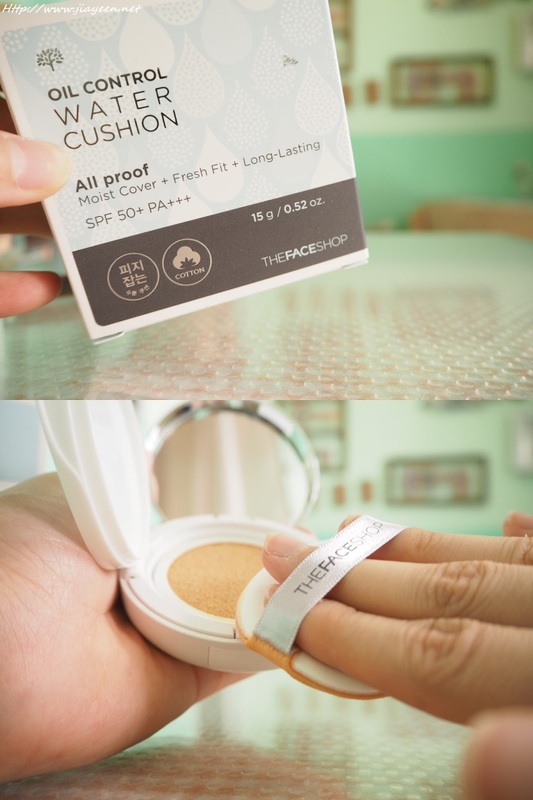 (Beauty Review) THEFACESHOP Oil Control Water Cushion SPF50. Water cushion's benefits far more than that! THEFACESHOP is introducing a complete cushion solution to cater for non-greasy yet natural coverage, especially for our hot and humid weather in Malaysia. This is a new innovation of THEFACESHOP that contains liquid foundation in a hard foundation case using microfoam. What is Oil Control Water Cushion? 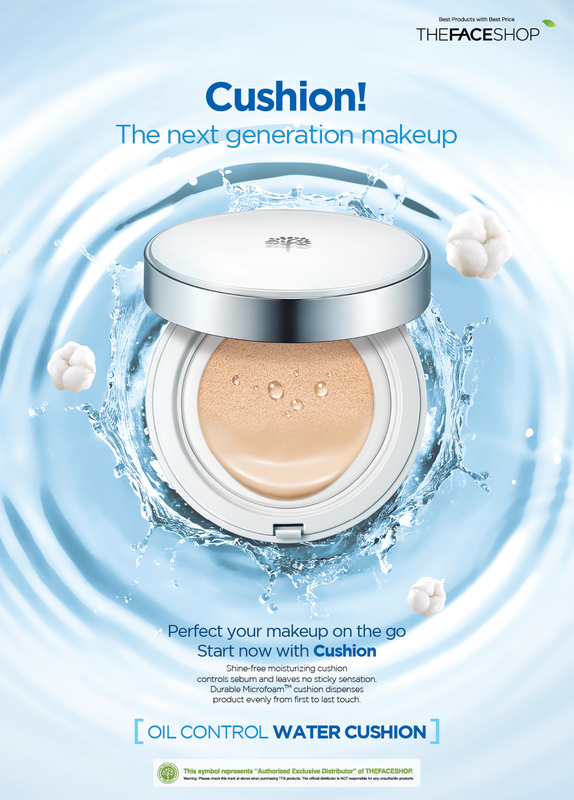 It is a sebum controlling, matte cushion foundation for summer and oily skin. Sweatproof, Non-sticky and comes with sebum controlling formula. During hot and sweaty season, applying sunblock, make-up base and foundation seem a bit too troublesome. This cushion enables us to finish all the steps at one application! 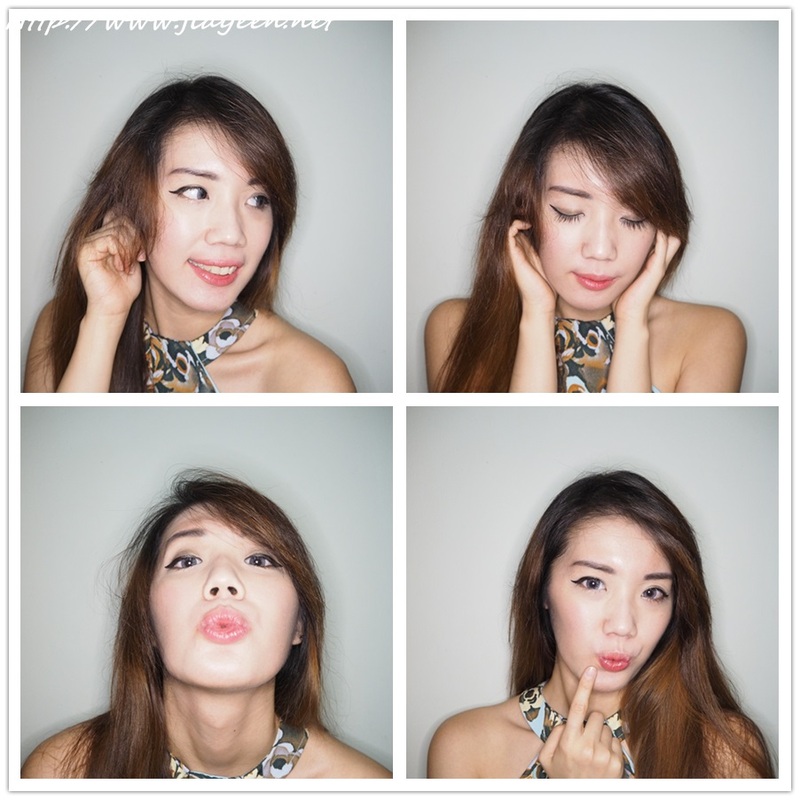 Want to achieve the "No-Makeup" make-up look? Try this cushion! Matte on the outside, hydrates on the inside. It actually cools down our heated skin as we apply moist contents from the sponge saturated with the liquid foundation. For even, meticulous cover with having to apply powder. Less sand and hair stick to our face. Make us feel light and fresh too. 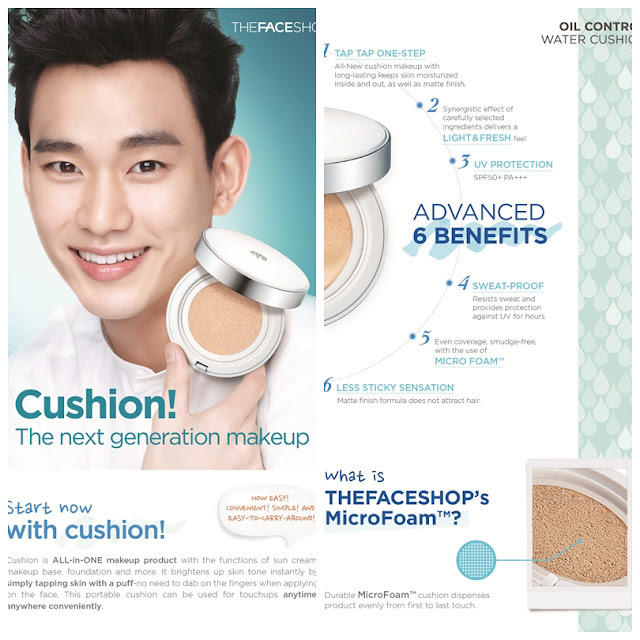 Thanks to THEFACESHOP, I get to try the cushion on. I tried not only the cushion but other make-up products as well. Just bear with me as I explain my steps one by one. To cover any imperfections yet providing me the natural and light coverage. I liked the texture, the cooling effect and the natural coverage. 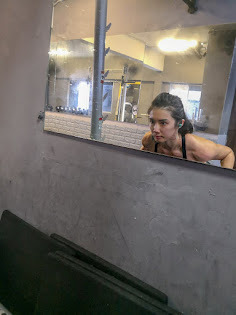 Usually, I will have red, heated face after hours due to the hot weather in Malaysia. But, with this cushion, I will no longer have red, heated face! It cools down my heated face while providing me the natural coverage. The best part is it is easy to apply. Just dab on the cushion with the sponge and spread it lightly and softly on your face. Light and natural coverage you will achieve. I love using brown eyeshadow to enhance the depth of my eyelid crease. 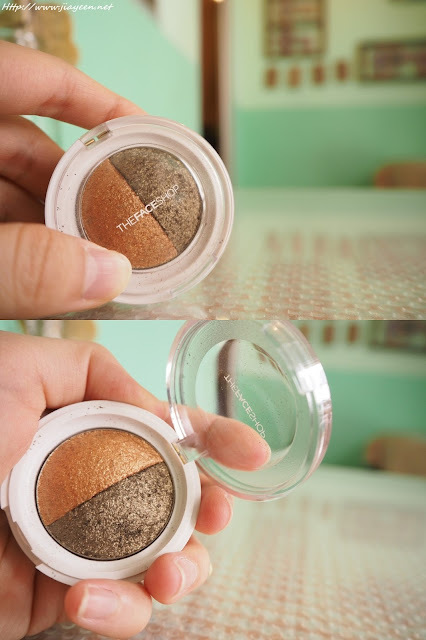 This duo eyeshadow is easy for application yet saturated in colour. I used Dark brown for upper eyelid (enhance crease of my eyelid) and Lighter brown for lower lashes part (enhance the size of my eyes). One thing about my eyes is I have round eyes. Therefore, I always prolong my eyes by drawing winged upper liner. With this eyeliner, I can easily achieve the effect I want. Hassle free and Trouble free. Notice my long, thick and curled eyelashes now? Oh, it is easy to apply and remove too! Not too red nor too pink. Be careful not to apply too much as one squeeze of this cream blusher is more than enough. You don't have to reapply after a sip of water or even your meal or...kissing. Remember to apply lip balm or lip moisturiser before using lip tint if you have dry chapped lips like mine. Overall, it is good because lazy people like me do not have to reapply it again and again. 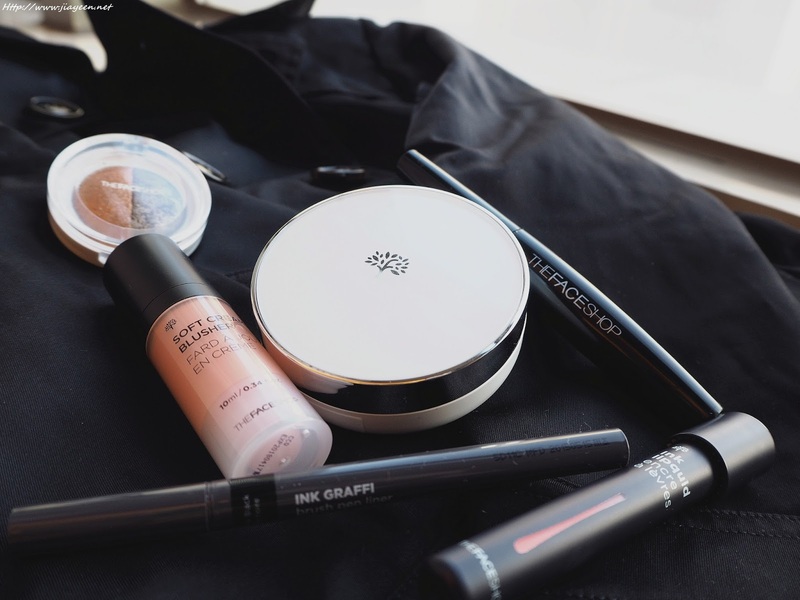 Want to see the after-makeup look with TFS make-up products? Not hard to achieve this look with TFS make-up products. Want to get Barbie look like mine? Check out TFS's FACEBOOK PAGE by clicking HERE! You can get your PROMO code and FREE membership upon signing up! HOW TO get promo code and FREE membership? 2) Fill up your details by clicking "REDEEM NOW" at Kim Soo Hyun's poster! 3) TADA! Free membership and promo code to get your water cushion!